On March 25th at approximately 10:50 p.m. Dothan Police Officers responded to a suspicious vehicle at Stringer Street A.M.E. Church, 1900 Stringer St., while officers were in the area they discovered a wrecked vehicle at the intersection of Lake St. and Allen Road. Also arrested for Capital Murder was Kenneth Glasgow, 52, of W. Powell St., Dothan. A “no bond” has been issued in this case. On 3/22/2018, at about 1800 hours, Dothan Police were dispatched to the 700 block of S. Range Street in reference to shots fired. Once on scene, officers located the victim laying on the ground with what appeared to be a non-life threatening gun shot wound to his upper thigh, hip area. Witnesses said they found the victim on the ground after hearing gunshots and noticed a large crowd in the area just before the incident. The victim was transported to a local hospital for treatment and the investigation is still ongoing at this time. On the evening of March 19, 2018, investigators were called to the 1300 block of Alexander Drive in reference to a robbery of a person. It was quickly determined the victim was responding to an internet ad to purchase an item for sale. When the victim arrived at this agreed upon location to make the purchase, the suspects snatched the money from the victim and left with the money and item they were alleging was for sale. During the commission of this crime, at least one of the suspects was armed with a handgun that was intended to be used if the victim resisted during the robbery. A K-9 was deployed and tracked to a nearby neighborhood where one suspect was located and taken into custody. As the investigation continued, the second suspect was located and taken into custody as well. The two juvenile suspects have been arrested and charged with Robbery 1st degree. 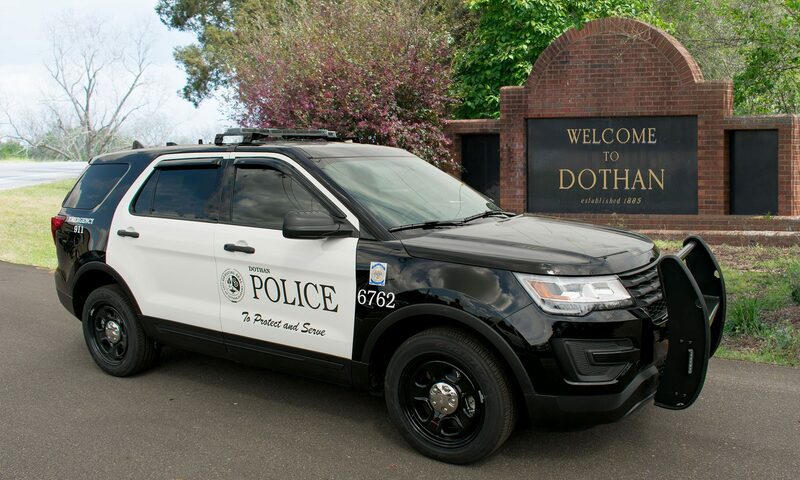 Shortly after 8 PM on Saturday, March 17th Dothan Police received a call of a possible death at the residence located at 611 Hodgesville Road, Dothan. Once officers arrived, it was apparent that this was a crime scene. 91 year old Mabel Fowler was determined to be the victim of a homicide. Investigators and Crime Scene Technicians worked throughout the evening and well into Sunday morning processing the scene and collecting evidence. Throughout the course of the investigation we located, interviewed and charged one person with committing the heinous murder. We have charged Joe Nathan Duncan, 58 years old of Dothan, with one Count of Capital Murder. He has been placed in the Jail under a “no bond”. The investigation is continuing and more detail will be released at a press briefing on Monday morning at 10:30 AM. 700 block of Chinook St.
800 block of Whiddon St.
100 block of Kohler Ct.
100 block of Naomi Dr.
400 block of Mona Dr.
200 block of Ruth St. The investigation into the Robberies is ongoing and more arrests are possible. All seventeen year olds charged are charged as adults. Bonds of $250,000 have been requested on each Robbery charge and $60,000 on the Drug Trafficking charge. All subjects are currently in the Dothan City Jail and will be transferred to Houston County Jail today. On March 12th at approximately 11:40 p.m. Dothan Police responded to a robbery at the Hobo Pantry in the 2400 block of Reeves Street. An employee stated that three black males entered the business, armed with firearms, and demanded cash from the register. The employee opened the register and the suspects were able to obtain approximately $150.00 in cash and flee the scene on foot. The suspects were described as three black males, one wearing a black backpack, black sweatshirt, and black running pants with red stripes and black shoes. Another suspect was described as wearing a black sweatshirt, camouflage pants, black shoes. The third suspect was wearing a grey pullover sweatshirt, black pants, and red shoes. The third suspect also had shoulder length dreds. Dothan Police request that anyone with information regarding this crime call 334-615-3000 or call CrimeStoppers at 334-793-7000. On March 11th at approximately 7:50 p.m. Dothan Police responded to a report of a robbery at the Dollar General in the 1000 block of Montgomery Highway. Once on scene officers discovered that two black males entered the business armed with handguns and demanded money from the employee. The employee was able to escape from the scene and no injuries were reported. The suspects fled the scene on foot and were last seen running towards the rear of the store. No money or property was obtained during the robbery. One of the suspects was described as being approximately 6’0″ tall and 180 lbs., wearing a grey hooded sweatshirt, black pants, and a camouflage bandana covering his face. The other suspect was described as being approximately 5’7″ tall and 140 lbs., wearing a black hooded sweatshirt, black pants, a black backpack with white stripes, and a silver bandana covering his face. This investigation is ongoing and the Dothan Police Department requests that anyone with any information pertaining to the robbery call 334-615-3000 or call CrimeStoppers at 334-793-7000. On March 9th at approximately 11 p.m. Dothan Police responded to a robbery at the Kangaroo Convenience Store in the 300 block of Ross Clark Circle. Once on scene they discovered that three black males entered the business with bandanna’s covering their faces. All three subjects were armed with handguns. They demanded money from the employee and fled on foot with an undisclosed amount of cash. All three suspects were described as black males wearing black hoodies and black pants. During the same time as the store robbery, three black males wearing blue hoodies and blue jeans approached a customer at the gas pumps armed with handguns. The suspects demanded that the customer empty his pockets. They escaped on foot with a cell phone, wallet, and a pack of cigarettes. There were no injuries during the robberies and the robberies are still under investigation. The Dothan Police Department requests that anyone with any information about these robberies to call 334-615-3000 or call CrimeStoppers at 334-793-7000.